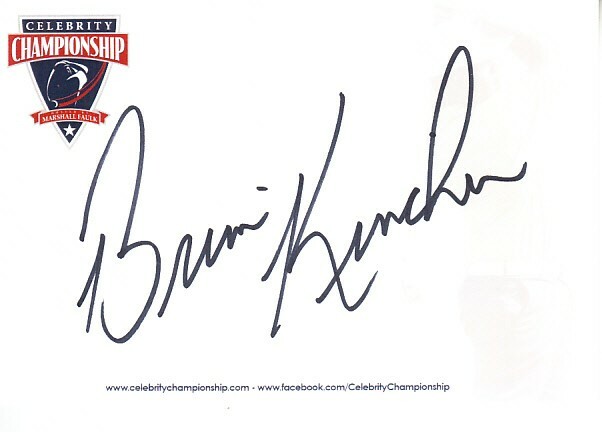 4x6 inch Drew Brees Celebrity Golf Tournament signature card autographed in black marker by former LSU and Cleveland Browns tight end Brian Kinchen. Obtained in person at the tournament. With certificate of authenticity from AutographsForSale.com. ONLY ONE AVAILABLE FOR SALE.